From Jackson head north to Gros Ventre Road, one mile past Kelly turn right. The cabin will be a couple miles up on the left. 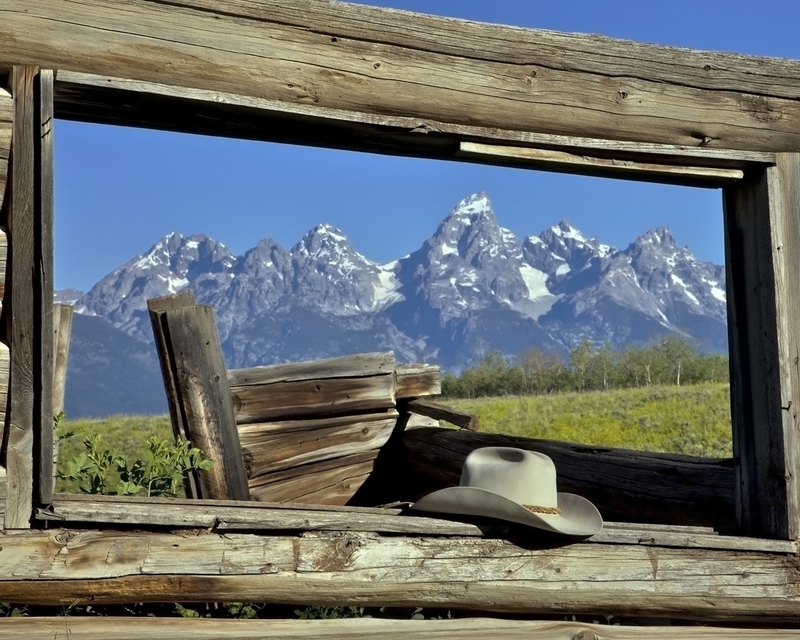 The historic "Shane Cabin" in Grand Teton Park is on it's last legs. The biggest movie of 1954 was filmed here and I though a cowboy hat would be a nice accent to this iconic place.